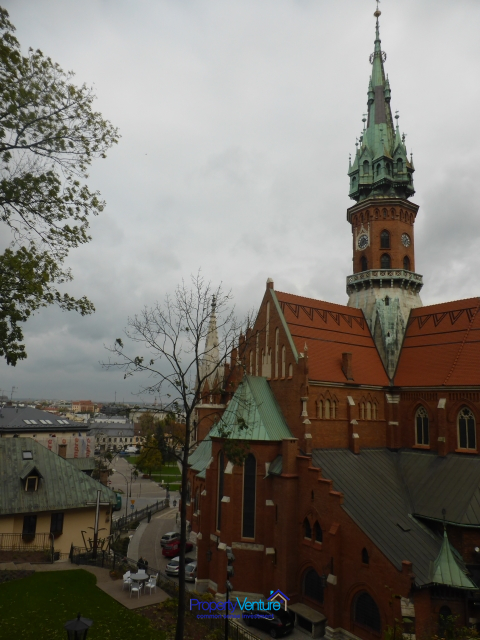 Krakow oozes culture and history, as a former medieval capital it makes a great location given all its historic connections and proximity to Auschwitz. Krakow's heart is the Rynek Glowny (Market Square) and surrounding historic places of the Old Town. There are plenty of theatres, art galleries, museums, colleges, as well as an Opera, botanical gardens, restaurants, coffee shops and shopping centres. It has a traditional Christmas market which takes place in the main square. Poland has an educated population and in some respects has played an outsourcing role like India or China has performed, in the white collar sector. Google have set up Polish laboratories to take advantage of good computer programmers. And Poland has moved up in the World Bank's 'Doing Business' rankings to 45th place. To give this context the UK ranks 10th and Spain 52nd. 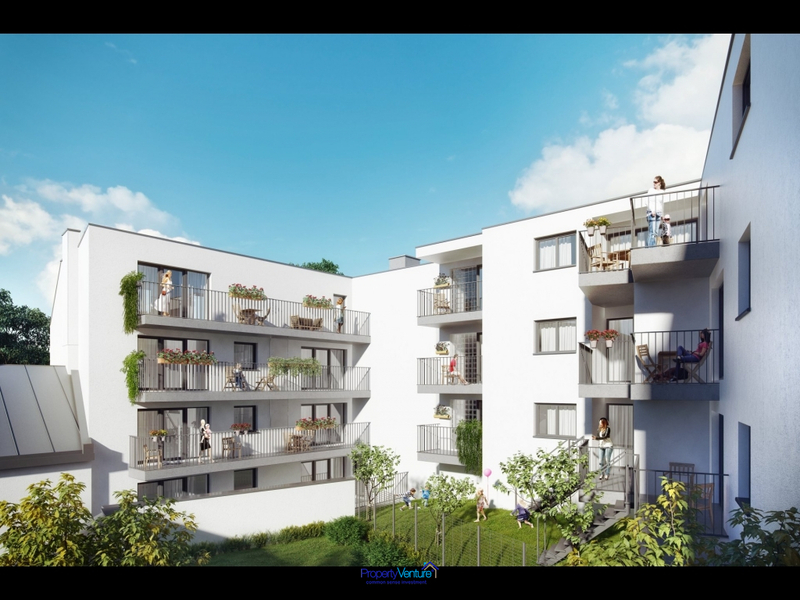 The location of these apartments is ideal, situated as it is in the centre of the peaceful residential area of old Podgórze on the slope of the Krzemionki Hill. 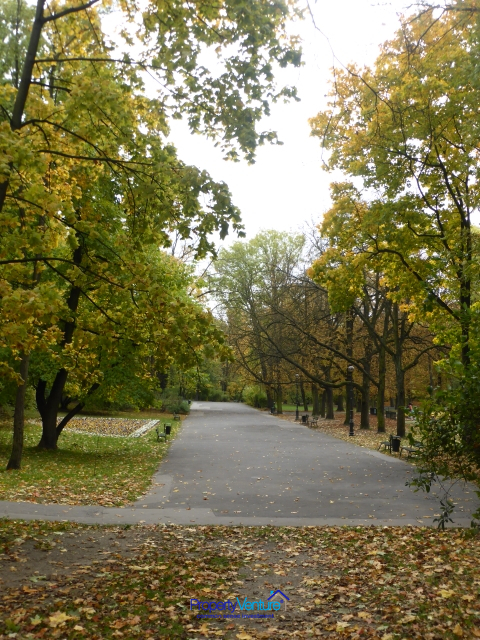 It is adjacent to Park Bednarskiego, perfect for a relaxing stroll yet only a few minutes walk from the bustling thoroughfares of Kalwaryjska and Rynek Podgórski. 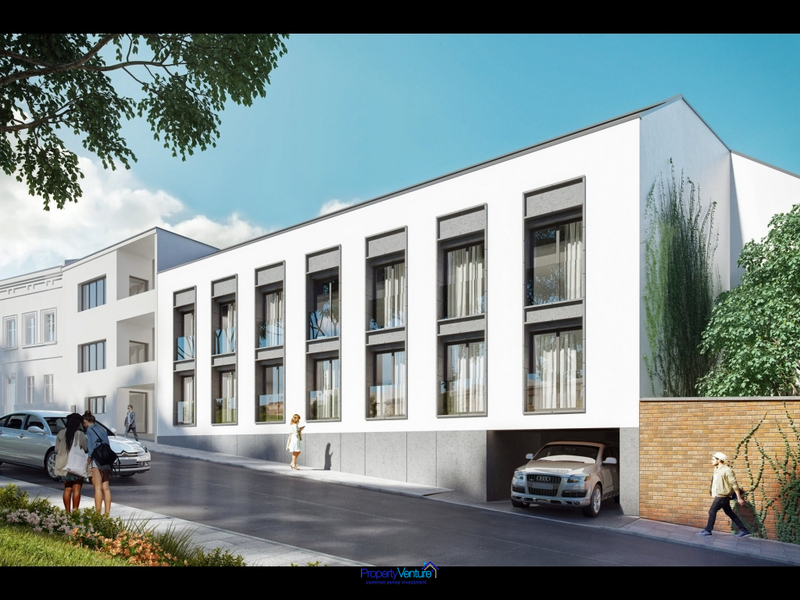 The property is just 10 minutes’ walk via the Bernatka footbridge over the Vistula into the famous Kazimierz district with its endless variety of bars and restaurants. Rynek Główny is 10 minutes by car or tram and two of the main Kraków shopping malls, Bonarka and Kazimierz, are also within 10 minutes drive. 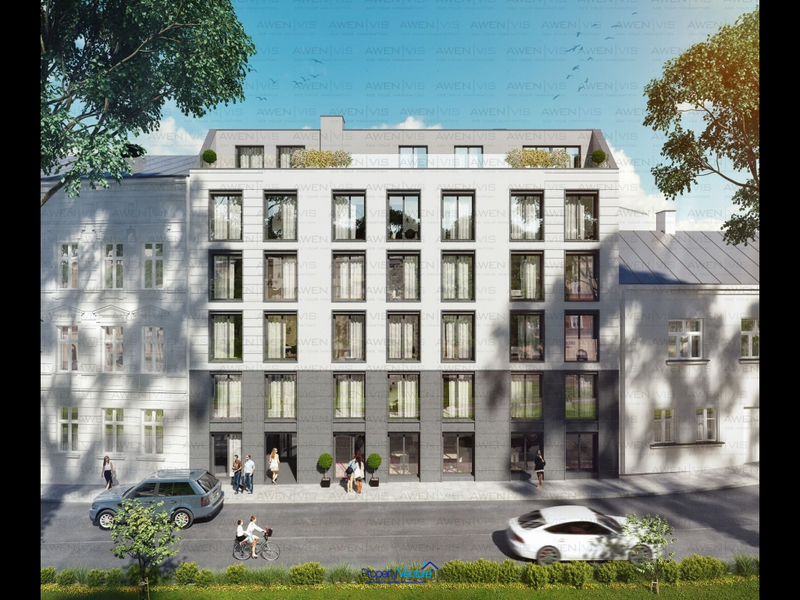 This is an attractive new development right in the centre of the city of Krakow and close to all amenities, it is due to be completed by the Spring of 2018. 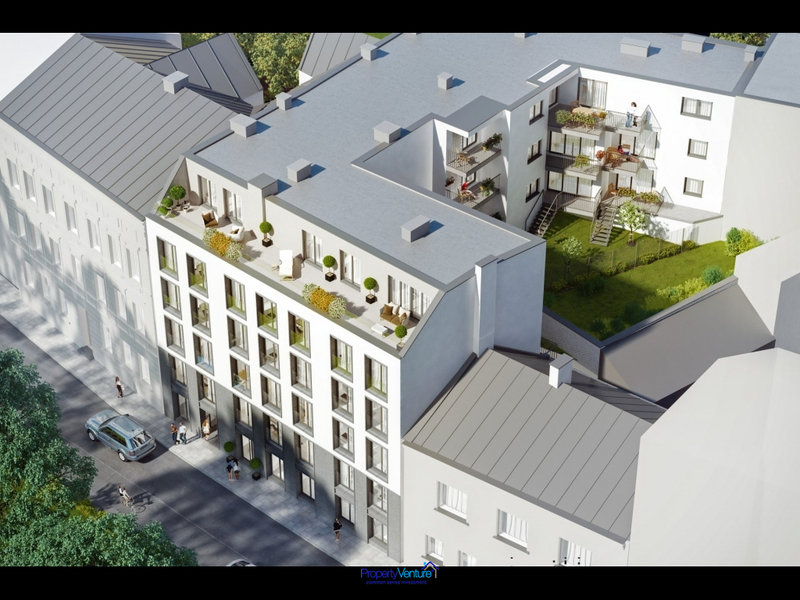 The building will comprise 22 apartments with areas ranging between 35 and 101 square metres. They are located on six levels, fronting onto quiet streets, with a spacious inner courtyard. The building also features an underground car park and bike storage units. To complete the interior design, we can offer fit-out packages in three different standards to match your needs. The ground floor has two commercial spaces (one small and one large) that can accommodate shops, offices or restaurants, both fronting on to the street. Please get in contact for more details. Click the 'Request More' tab on the right side of the page. Copyright © 2019 Property Venture. All Rights Reserved.